It is finally happening: immersive theater and an escape room experience are finally combining into one experience in New York City. The recently opened Paradiso combines special effects and elements of immersive theater into what they are calling a new form of entertainment. 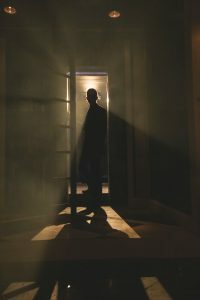 Paradiso is a 60-minute journey in which 10 participants at a time have to navigate their way through an unknown world in order to find puzzles, solve clues, interact with live actors and ultimately escape. The new production was created by Michael Counts who’s work we have covered extensively here at Theme Park University in attractions and shows like The Ride, Play/Date and The Walking Dead Experience. Loosely based on Dante’s “Divine Comedy,” Paradiso is unofficially rated PG-13 and is recommended for ages 13-and-above and anyone under the age of 18 must have a parent of guardian with them. The creators of this experience are remaining tight lipped about what you actually encounter during your one-hour journey, so I literally have nothing else to tell you. Guaranteed, I will try this out the next time I am in New York City. For more information and tickets visit paradisoescape.com! This entry was posted in Theme Parks 101 and tagged escape room, immersive theater, New York City, paradiso, The Ride, walking dead. Bookmark the permalink. Trackbacks are closed, but you can post a comment.